Online Shop | Metal Headboards For Divan Beds | Isabelle nickel headboard by Bentley Designs. Isabelle metal headboard from Bentley Design furniture in antique nickel finish is classic in style with a contemporary twist. 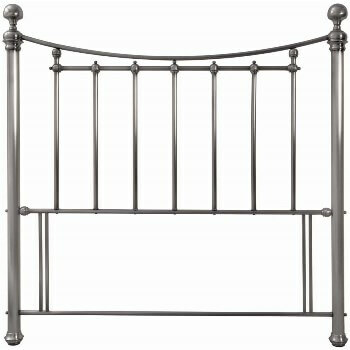 This is truly a unique headboard which will give your bedroom real character. Since its floor standing, the Isabelle has the added bonus of being more stable and securely fastened than the standard fitted headboards.